Muskego High School offers tons of clubs and activities for all students to participate in. Anything from math club to drama club, there really is something for everyone. Here is a break-down of each club and how to get involved! Best Buddies is students helping students. This awesome organization focuses on inclusion and integration and promotes it throughout the school. This club pairs students with intellectual or developmental disabilities with students without disabilities and promotes personal friendships and connections that last a lifetime. You should join this club if you enjoy making new friendships, participating in fun events, and being apart of a larger organization that works for a great cause. Best Buddies holds many fun activities and events throughout the year! The first meeting is September 17th at 2:30 pm in room 243. All MHS students are welcome to come and join in on the fun! Any MHS student in any grade level or science class should check out the Science Club! This extracurricular meets once a months and does various activities together throughout the year. In the past, the club has gone on field trips (aquariums, zoos, etc. ), has held movie nights, has gone to the MHS observatory, and has done many other exciting activities. Each year, the club decides what activities it will participate in based on what its members are interested in. Anyone who thinks this sounds like a fun and interesting club should go to room 312 on September 13th at 2:35. 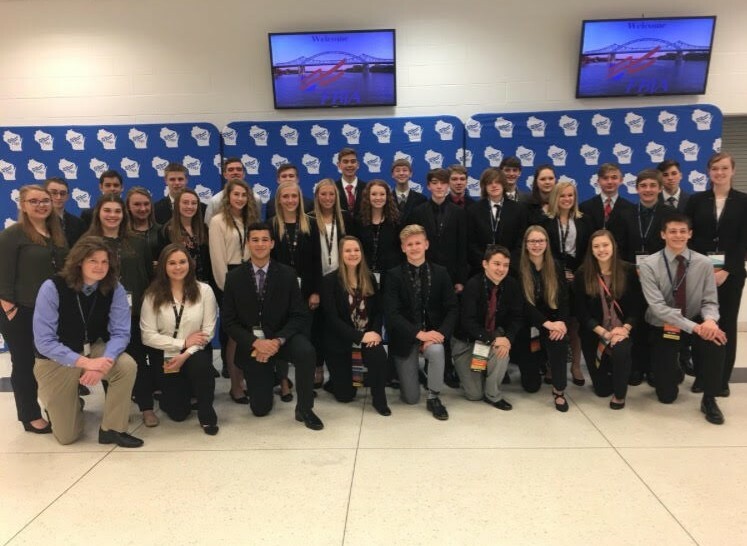 Future Business Leaders of American, or FBLA, is a business based organization that focuses on preparing students for bright futures. This student business organization participates in many community service, fundraising, and competitive events each year. This club also runs the Warrior’s Warehouse, our school store! This organization helps prepare students to become community-minded and offers unique career preparation and leadership experiences. Every year, FBLA members participate in community service projects like the hat-coat-and-mitten drive, the food drive, the polar plunge, and other various community-wide events. They also hold school-wide fundraisers like the dodgeball tournament and the school store. Also, FBLA members get the opportunity to compete in academic competitions and attend conferences. In February, each member gets to compete in a specific event at regionals, and have the opportunity to advance to state, and after that potentially nationals. This organization offers students the opportunity to get academically recognized, get involved with their community, forge new friendships, network, and prepare for their future. Any student that is interested should go to room 243 on September 20th at 2:30 and learn more about FBLA. !Ay caramba! Spanish club is an awesome organization that is created for students that are or have been involved with Spanish classes. Those who are involved go on trips to Mexican restaurants, the Holiday Folk Fair, Spanish movies, bowling, and Great America. This is a great way to experience the Spanish culture! The club also gives back to the community by donating food and clothing to Hispanic families in need. Anyone interested in joining el clubo de español should go to room 304 on September 13th at 2:30! This club français welcomes any student who is interested in the French culture and language! Every month, French club students meet for a variety of activities and exciting events. The club also celebrates traditional French holidays throughout the year like Mardi Gras and Valentine’s Day. They also go on trips such as the Holiday Folk Fair, bowling, mini golf, movie showing, French game days, bingo tournaments, and many more. Anyone interested in French club should reach out to Madame Johnson-Fox in room 306. Students that participate in this club are responsible for putting together the school’s yearbook! Those who get involved will be tasked with finding pictures to put in the yearbook, figuring out the layout, and designing the cover theme and art! This club is offers students the opportunity to meet new people and also allows them to become better acquainted with what our high school has to offer! Putting together the yearbook every year require a lot of time and effort, but the process is extremely rewarding! Anyone who is interested should stop by after school room 294 on September 12 to see what the yearbook club has to offer! Our school’s newspaper, the Warrior’s Word, is updated on a monthly basis and run by students of all grades. They work to inform, entertain, and educate the student body here at MHS. Each month, students get to choose a topic and create an interesting article about it. Participating in newspaper gives students the unique opportunity to make new friends, get informed, keep others informed, build up their resumés, and practice strong writing skills. Anyone who is thinking about getting involved should come to room 268 on September 24th at 2:30! Attention all gamers! Any MHS student who is interested in playing video games and participating in e-sports events should check out this club! In the club, members forge new friendships while bonding over their favorite games. Anyone who is seeking more information should see Mr. Matson or visit room 243 at 2:30 on September 12th. Mu Alpha Theta is the club for all math lovers! This international honor society is curated for the best and the brightest. Mu Alpha Theta encourages intellectual, academic, and career excellence for all students involved! Meetings include bonding over baked goods and a shared appreciation of math. Throughout the year, members have the opportunity to participate in math competitions, career exposure in related field, and scholarship opportunities. If you want to get involved, stop by room 215 on September 13th at 2:30! The debate club offers students the unique opportunity of competing against area schools in public speaking events! 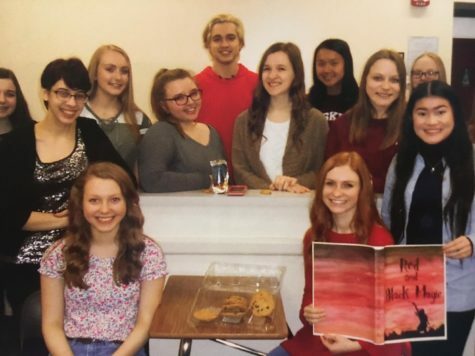 The argumentation of controversial topics is something many students take part in, and this club gives them the voice to do so. The debate team compete during the fall semester of school and gives the students the ability to compete academically. Those interested should watch out for announcements surrounding the first informational meeting date! Anyone interesting in the theatrical performing arts is welcome to join Drama Club! This club participates in various types of theatre, including directing, costumes, props, and make-up. This club produces two plays every year; one production first semester and another second semester. At meetings, skills practiced include improvisation, scene study, and vocal movement techniques. Anyone who thinks drama club is for them should either watch out for the first meeting date or reach out to Ms. Klausegger. This club at MHS offers students the opportunity to bring technology into an environment that encourages competition and cooperation. This club builds scientific, technological, and engineering skills whilst still focusing on innovation and creativity. The mentors and members in this club focus on building well-round, skilled student-leaders through the interesting science of robotics. Anyone interested in joining should check out the robotics website. Any MHS student who is interested in making productions happen at the high school should check our the Stage Crew Club. In this club, students have the opportunity to learn and operate light, sound, rigging, technical, and many more types of equipment that are required to make a show run smoothly. They do all this while also learning how to become a part of an effective team. They often work in collaboration with performance groups from MHS, the Muskego-Norway School District, the community, and elsewhere. Any student who is interested in becoming part of a production team and learning statecraft skills should check out this club and watch out for announcements regarding an informational meeting! With so many options, its up to you to decide! These are only a few of the many activities that Muskego High School offers its students. Getting involved with clubs and activities is not only great for college apps, but also for forging lifelong friendships that go on long after high school. With all this new information in mind, what club will you be joining this fall?